Dialogue | I'm hard of hearing, so what? Dialogue – I'm hard of hearing, so what? Yesterday I went out with a group of hearing impaired ladies. We had originally intended to go on a hike, but since it was far too hot out, we decided instead to visit a former Monastery. We’d already planned to eat out there anyways and used the opportunity to do some touring of the grounds and engage in small talk. Despite the heat (almost 40ºC), we talked energetically and the food was great. It is very nice to see how a group with differing degrees of hearing loss was able to communicate so well with each other. 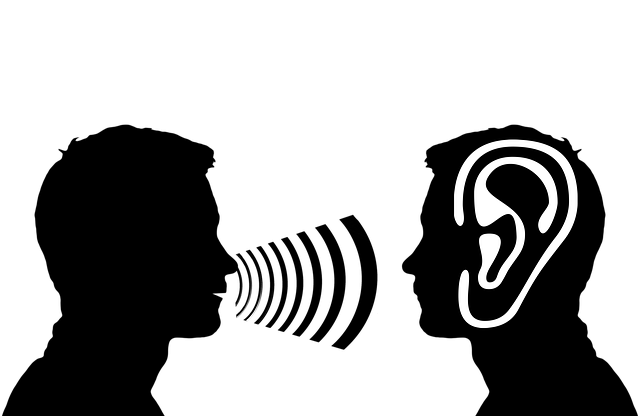 Everyone has a deep understanding for and willingness to accommodate the hearing loss of their counterparts, but the hearing loss itself was ever a topic. These days I hang out more often privately with other hearing impaired people. It is not a conscious choice, its just the way the way things turned out. Even though I still have many people who still hear well around me, it is still quite pleasant when one can understand your hearing loss without the need for words without also explaining why one does not hear so well. On the other hand, it is sometimes harder for me to understand other hearing impaired individuals, especially when their voicing is not as well developed. However, there is always a way to be able to be mutually understandable if there is a will, and that is what counts. A dialogue is always two sided, it does not matter who is participating. This means that both parties must make the effort, other wise we are no longer talking about a dialogue, but instead a monologue. In light of the current temperatures, I wish on you only cooler weather and more dialogue, just as we had yesterday!